If you do a google search for “conversational cnc software” … one of the displayed option is for a product from CNCCookbook called G-Wizard Conversational CNC. OK then … if you’re taking up market space then you are fair game … so let’s see what it is. Conversational CNC is part of the G-Wizard Editor package. The editor is a G code creation / editing / plotting application and the conversational “wizards” allow you to create snippets of G code to be inserted into the editor as you build a G code program. It truly is what I would call a “wizard” … quite limited in scope with only a very few simple operations available for G code generation. CNCCookbook touts that “conversational CNC is free during beta testing” … you can see why. The product hasn’t changed much in over two years and seems to be something that has lost the interest of the developer. However … as I stated above if you’re taking up market space … you are fair game for an honest and thorough review. (1) It outputs TONS of lines of code … most simply messages … but if your control has limited memory capacity … it’s an issue. (2) There doesn’t appear to be any way to go back and edit code that was already created through a wizard … you have to start all over again in a new instance of the wizard. KipwareT® allows for complete recall into the conversational menu or direct edit of the cycle G code created. (3) Roughing and finishing are always done … doesn’t seem to be any way to select ROUGH only or FINISH only … both are independently selectable in KipwareT. Overall … the look and feel of G-Wizard conversational is that of a “wizard”. It will generate snippets of G code but is very limiting and without many options if you are trying to use it as a replacement for complex CAD/CAM for simpler workpieces … and there is no DXF import if the shape you are programming has some non-standard features. FACT : Using a CAD/CAM system to program the simpler, everyday workpieces is costing you money. FACT : CAD/CAM OVERKILL is real … and is costing shops in labor hours and dollars. FACT : CAD/CAM was NEVER designed to be a G code generating tool first and foremost … it is a design tool first and foremost. If you’re not designing … DUMP the CAD and KEEP the CAM with Kipware® conversational. FACT : Fusion 360 may be cheap … but even FREE software can disrupt efficiency and productivity if you can’t produce G code … and chips … in a timely manner. Did you know that KipwareM® and KipwareT® will allow you to program your Tormach PCNC Mill and / or Slant-Pro Lathe completely conversationally? It’s true. KipwareM® (milling) and KipwareT® (turning) are 100% compatible for programming your Tormach mill or slant-pro lathe RIGHT OUT OF THE BOX !! No “post processor” or anything additional is required. Now some user will say that Tormach already includes “conversational” programming … but the fact is it is not TRUE conversational programming. It is what is more commonly referred to as a programming “wizard”. It allows you to create simplistic G code for simplistic shapes … not true robust conversational CAM like Kipware® conversational. Why limit yourself? … and your potential? … and for that matter, the type of work you can produce? (1) Create multi tool programs that can machine a workpiece complete with multiple operations. (2) Import DXF files and create G code for non-standard shapes. (3) Use professional programming and “best programming practices” like cutter compensation … canned cycles … and more. We have hundreds of Tormach users who found the standard Tormach wizards too confining or limiting … and have graduated to real world programming with Kipware® conversational with great success. If you are a Tormach owner or thinking about a Tormach purchase … we invite you to contact us at any of the options below to discuss in detail how Kipware® conversational can take your Tormach mill or lathe to the next level. As of this writing … end of September 2018 … the eventual has become the norm. We all knew this would happen … and the constant uptick of pricing has begun for Fusion 360 users. An announcement has just been made the pricing level of Fusion 360 for the will jump from $310 to $495 … and that is PER YEAR !! That’s not a forever, buy it once and your done price … that is $42 / month or $495 per year. We all knew this would happen. Once they got users hooked using their “cheaper”, introductory pricing … got you to do all your drawings and store all your data in their environment … that they would eventually have to increment up pricing to keep making profits and stay ahead. And it is happening. And as any business owner knows … it will keep ticking up little by little … forever. DUMP the CAD … KEEP the CAM !! Look let’s be honest … if you are designing and creating new products … Fusion 360 is probably a good deal. IF ON THE OTHER HAND … YOU ARE LOOKING TO GENERATE G CODE FOR MACHINING … KIPWARE® CONVERSATIONAL IS A MUCH BETTER ALTERNATIVE … PERIOD. CAD/CAM was NEVER designed to be a G code generating tool first and foremost … it is primarily a design tool … made especially for users designing and creating new products on a constant basis. Thus … everything starts with a drawing. If you are looking to primarily create G code to machine a workpiece … why do you need to start with a drawing. It is time consuming (wasting) and requires CAD skills which may preclude some good chipmakers from even getting involved with the programming process. For a shop owner … limiting the people who can create CNC programs means limiting efficiency and limiting output … limiting profits !! Take a look at the video below … agree ?? Go Simple … Go Real World … Get Productive !! One of the things that Fusion 360 touts with this new pricing is that the new subscription will include ALL Fusion 360 “features”. Great … they just added MORE COMPLEXITY to the package. If you are trying to create G code for say a simple turned part … you’ll have to weed through menus for live milling, Y axis, and others. WHY ?? If the video above makes sense to you … we encourage you to think twice about jumping on the Fusion 360 ever-increasing bandwagon and to take a deeper look into what “shop floor programming” and Kipware® conversational can mean for your shop … your productivity … your profits !! Over our years creating our market leading CNC and machine shop software applications … we have been asked many, many times to go beyond software support to assist our users by taking a bigger role. Sometimes the request was for just some consulting, mentoring or guidance … other times we were requested to perform complete projects like G code conversion of hundreds of files or complete CNC programming for complex workpieces the client couldn’t handle. After all … I do have 30+ years of experience in various manufacturing roles from manual machining to CNC programming to manufacturing engineering to complete machine shop management. So ya … I can help. So starting June 1, Kentech Inc. has expanded our offerings to include contract consultancy and engineering for quoting and estimating … CNC programming … G code conversion … and custom CNC and machine shop software development. We created a new website dedicated to these services … so if you have interest in exploring our services deeper … you can get the complete picture along with pricing at www.KentechInc.net. I invite you to visit the website where you will find service outlines, pricing and complete background check of the REAL WORLD experiences that we can bring to any project or shop issue you may be confronted with. I think you will find it time well spent. 5 axis CNC machining is quickly becoming all the rage as it’s benefits become more and more apparent. The real problem though is everyone thinks that 5 axis programming is only meant for complex, multi-axis workpieces. But that is very far from the actual truth. Well let’s back up and start with some facts. There are basically (2) school’s of thought when talking about 5 axis milling. Yes, if you want to make a fan blade … true 5 axis is probably needed and yes it’s complicated. But the 2nd school of thought involves what is called 3+2 positional 5 axis milling. As the name implies … it involves 3 axis ( X / Y/ Z ) and 2 additional axis … A which usually revolves around the X axis and B which usually revolves around the Y axis. This type of programming usually includes A nd B axis as indexing axis’s only. Perfect for multi-sided machining where “true” 5 axis (all the axis moving at the same time) is not required … you basically want to just reduce set-up and fixturing and you want to machine on multiple faces of the part using a single set-up. Like that sample parts illustrated below. If you have ever worked with a 4 axis indexing table on your VMC … you can relate pretty easily. The 4th axis gives you the ability to fixture the part once and by indexing the 4th axis machine on up to 4 faces of the workpiece. Well adding the 5th axis is similar … but gives you the ability to machine on 5 faces … or use a combination of A and B axis achieve more angles and thus more faces to machine on. See … not so complicated when you consider 3+2 positional 5 axis. KipwareM® is FULL 4 and 5 axis positional COMPATIBLE … STANDARD !! When we built KipwareM® … our conversational CNC programming software for milling … we built a robust, user friendly, powerful CNC programming tool … not some under developed “wizard”. We know from our experiences on the shop floor that CAD/CAM can oftentimes be overkill and even slow down the programming process and remove good chipmakers from that process. So if you want an alternative to CAD/CAM … it better be robust and capable of handling a little complexity and import DXF files for the non-standard type stuff. We built that in KipwareM®. We also built a very flexbile and powerful feature with our EIA MENU. This menu allows users to create ANY snippit of G code they might need … create it once and then recall and use it any time when programming any part. This feature gives you the ability to create an indexing program for the A and / or B axis and use that snippit any time in any program. Below is a video showing this feature in a 4 axis programming example … 5 axis is pretty similar. Below is a video illustrating how to create a 5 axis program on a Haas 5 axis CNC. So Don’t Be AFRAID of 5 Axis … KipwareM® is HERE !!! So … if you’re in the market for a new CNC for your shop … maybe consider 5 axis. Now knowing there is a REAL WORLD tool out there … that isn’t a complex and expensive CAD/CAM system … that can help you get easily program 5 axis you can take a deeper look at how a 5 axis CNC can benefit your shop. As mentioned … not all 5 axis work is complex fan blades but more often than not just multi-surface programming. And KipwareM® conversational has you covered !! Our story ( really my story ) is most likely very close to your story. Started out as a machinist … working on the shop floor running manual machinery … lathes, millers, grinders, planers … basically any machine tool you can imagine. Worked up to Class “A” Machinist … Tool & Die maker … working with close tolerances learning CAD and fixture design. Moved to CNC … service tech (Mori Seiki), programmer, applications engineer, then learning CAD/CAM and 3D programming. Moved to management … quoting, estimating and production scheduling and management. Being in the shop every day with all that experience with me … I never stopped looking at the status-quo and saying “There’s got to be an easier / better way.” I was determined to create quality solutions to handle issues I tackled every day and found lacking in my work experiences. That was the type of software I wanted to create … REAL WORLD software. For simple every day CNC part programming … either having to program by hand (error prone) or having to use the CAD/CAM system (overly complex) … there was a tool needed to make the every day programming faster and easier. Born … Kipware® conversational. For accurate cycletime estimating … working as an application engineer required tons of cycletime estimates to show potential clients how long it would take to make their part on our machines … and it better be right !! Born … KipwareCYC® cycletime estimating software. For quoting and estimating … using spreadsheets (very clunky and not user friendly) or looking at spending thousands of dollars for software with “features” I didn’t want or need (who designed this stuff anyway ??). Born … KipwareQTE® quoting and estimating software. For making the shop floor run seamless … even though it contained a variety of CNC’s with a variety of CNC controls. Having to re-post (dumping proven toolpaths) or make manual edits (dealing with typos or mistakes) … Born … KipwareXC® and CNC XChange. I can’t keep up with these RFQ’s … our quoting system is really outdated. Are we even making money on these jobs? I wish some of the guys on the floor could create some of these simpler programs. I wish these machines all talked the same language. I wish I could get some help with all this quoting. If you look deep at the CNC and machine shop software companies out there and their background … Kentech Inc. is one of the ONLY software developers out there that can boast this type of background on which their software is based. The gamut runs from software only developers with no machining background to individuals who think they know everything about everything CNC because they read it on the internet. Some of these guys even steal other people’s ideas from the company name to the products in their line-up. At Kentech Inc. we ARE different … and we are proud that thousands of machinist’s and machine shops profit with our applications around the world every day. AND … we USE Kipware® EVERY DAY !! 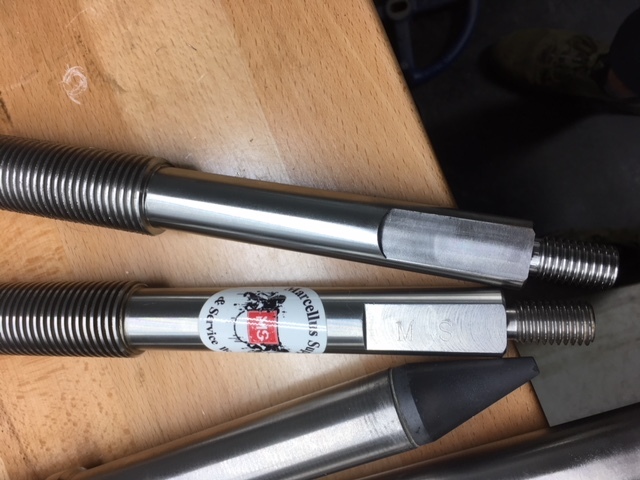 We still assist local users with their shops … from providing programming assistance to assisting in tool selection to just generally answering questions about CNC and manufacturing. And we use a variety of our Kipware® software in those shops. In addition … I started a woodworking business in 2016 that blends my knowledge of CNC with hand craftsmanship as I design and build custom wood creations … take a look here : KÄRV Woodworking. Look … woodworking or metalworking … they both are very similar as far as business / shops go. They both need material planning … machine time planning … costing, estimating, quoting and as far as machining goes … wood or metal … it’s machining … very similar. With our X-Carve … I use KipwareM® every day. Yes I use VCarve for the carving but I use KipwareM® for the “everyday” programming … circles and squares for joinery and for milling contours and sooo many other features. It’s faster than CAD/CAM or carving software and just plain simpler and allows me control of the machining process so I can machine how I want. I use KipwareCYC® (cycletime estimating) and KipwareQTE® for costing and quoting custom projects … sooo nice, accurate, easy-to-use … and I can rest assured my quotes will lead to profitable projects. And I use KipwareXC® to automatically make modifications to G code created by VCarve to correctly run my X-Carve router. Kipware software proves it’s worth every day in the REAL WORLD. And the use of Kipware® in real world situations insures constant updates and enhancements that solve real world issues that present themselves in real world situations. If the points made here ring true for you … we invite you not to waste any more time and profits. Become a member of the Kipware® family today and start realizing increased productivity … increased profits … and a healthier business and bottom line. A purchase of our Kipware® CONVERSATIONAL programming software is a purchase of SO MUCH more than just a G code generating system … although that in itself is a hell-of-a-buy !! After living and working on the shop floor for 30+ years … we know that programming is more than just generating the cutting program. Having REAL WORLD tools available to assist in all the related jobs is essential as well. That’s why we include a ton of REAL WORLD companion applications with EVERY Kipware® conversational purchase. AND … one of the most underrated aspects of these applications is the way we both integrate them and separate them from the main programming application. Why do we do that? Well … as an example … let’s say you want to start a G code editor to either create some G code or modify some G code. You can launch KipwareTP® (one of our included companion app’s) and go. To boot … because it is a toolpath plotter … you can BOTH create the G code and watch the toolpath plot. On the other hand … you are creating a program with Kipware® conversational and you want to watch the plot … just click the plot button and KipwareTP® will launch automatically and show you the plot. Integrated … AND … stand alone. That’s REAL WORLD development for ya !! Let’s take a closer look at the WHAT and WHY of our Kipware® conversational companion applications. A simple drawing application with DXF IMPORT for non-standard shape programming. While the conversational, fill-in-the-blank module is employed by Kipware® conversational for the G code programming of standard shapes … the included Kipware® SketchPad can be utilized for non-standard shapes. SketchPad allows the user to either draw the toopath / shape directly or to import a DXF file created in any CAD program. Once the toolpath / shape is created or imported … the SketchPad uses conversational, fill-in-the-blank forms to gather inputs and then create the desired G code program. SketchPad’s patent-pending and unique MACHINIST MODE allows users to create ANY toolpath desired by simple moving the mouse … represented by a user defined cutting tool configuration. SketchPad CYCLES can be employed to make toolpath generation even easier. The Kipware® SketchPad can be used to create cycles for non-standard shapes in conjunction with KipwareM® (milling) or KipwareT® (turning) … or as a stand-alone programming application to create G code independent of Kipware® conversational. SketchPad® also contain a powerful EDITOR making it a complete, stand-alone G code generator. We invite you to fully explore the Kipware® SketchPad through our YouTube videos series … just CLICK HERE. Consistency in the cutting parameters utilized in a G code program is a key factor to reaching full production quickly. Kipware® conversatinal makes creating G code fast … and the included KipwareCSF® Speed and Feed Wizard makes including consistent speeds and feeds in those programs fast and easy. 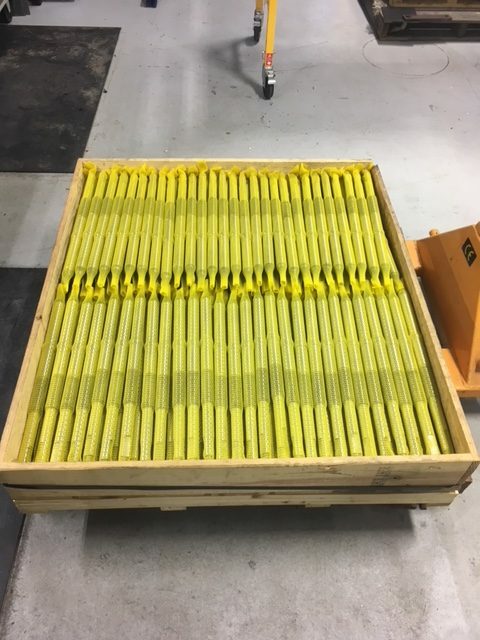 Rather than basing speeds and feeds on pie-in-the-sky, never-attainable “recommendations” , KipwareCSF®allows users to build a database of cutting parameters based on your shop equipment’s capabilities and your shop floor’s inventory. Then KIpwareCSF® uses that database to auto-calculate realistic speeds and feeds and auto-inserts them into your G code creations. CLICK HERE to view the KipwareCSF® video. 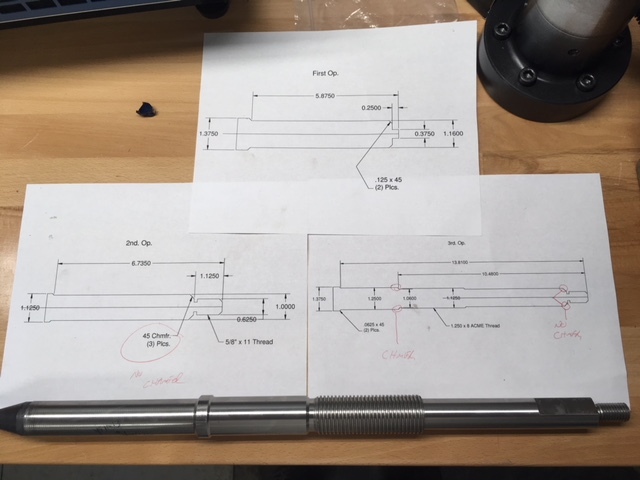 For 90 to 95% of CNC programming done everyday in the real world, programmers and operators are looking for a simple tool that will produce a simple plot to confirm their G code program. 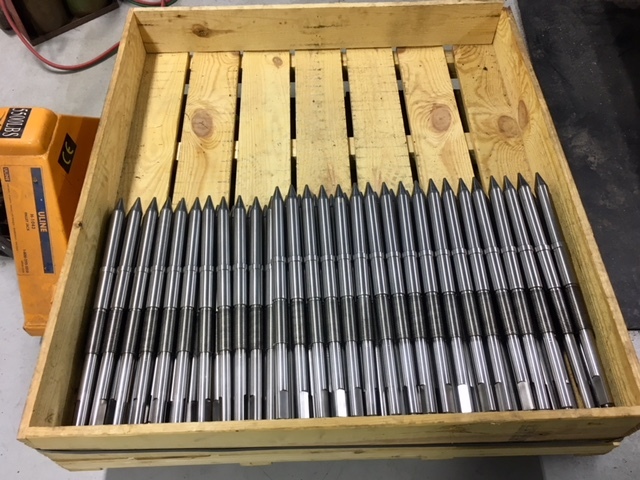 Developed by machinists for machinists KipwareTP® cuts to the chase to allow for simple plots and includes powerful, easy-to-use features if you want to go complex. KipwareTP® is included standard and is an integral part of ALL Kipware® conversational titles, but can also be used as a stand-alone application. Plot any Kipware® conversational program or create your G code from scratch in KipwareTP® and view the plot to confirm. Full G Code Specific Editor … create your code form scratch or import a program and use re-sequencing, inch / metric conversion, X and Z axis reversal, color highlight and more. On Screen Measurement …. use your mouse to measure right on the screen. Import DXF files as stock models … plot directly over a DXF file to see how the toolpath compares to the part. Cutting Tool Library … users can build a cutting tool library of user defined tools and use them to plot. Uses handy machine like functions for plotting like : Single Block, Optional Stop, Block Delete, Selectable Plotting Speed, Selectable Tool Display. We invite you to fully explore KipwareTP® and all its features through our YouTube series … just CLICK HERE. Wasting time on the shop floor searching for the “answer guy” or looking through charts and formulas reduces productivity. Smart shops now employ PC’s on the shop floor with applications that make finding the necessary information quick and easy. KipwareTB® is the PREMIER Shop Floor Assistant … and is included standard with ALL Kipware® conversational titles. Circle mill helper …. quickly generate G code for circle milling with tangent ramping entry and exit. Cutting TROUBLESHOOTERS for turning, milling and drilling … quickly get recommendations for common material cutting issues. Cutter Comp Calculator … calculate shift amounts for chamfers and radius without having to use the machines cutter comp. functions. We invite you to fully explore KipwareTB® and all it’s features through our YouTube series … just CLICK HERE. ALL of the above and are INCLUDED STANDARD with every Kipware® conversational CNC programming title. AND THERE ARE MORE !! You can check them all out by CLICKING HERE. Real World Software comes from Real World Developers … Kentech Inc. !! At Kentech Inc. we are INNOVATORS and PIONEERS … and have been since 1986. Nothing to install … no app’s are installed on your PC as they are accessed from anywhere … on any device … through your browser. No “seat” concerns or added charges … access your software from anywhere … on any device … through your browser. No PC crash worries … as the software is hosted on a cloud based server with nothing installed locally. No UPGRADE headaches … you are always using the latest version of the software through automatic upgrades. Low monthly subscription fee includes EVERYTHING !! Our innovative cloud based packages allow users to select from one to all of our applications through a MINI, CONVERSION or MAX cloud subscription for a low monthly subscription fee . A subscription includes all updates and upgrades and gives the user the freedom to access their software from anywhere … on any device … at any time … all from their browser with nothing to install or maintain. You can in-depth details and pricing HERE. The Kipware® CLOUD is also a great way to try out ANY Kipware titles before committing to a traditional installation or cloud based delivery of your title(s) of interest. Limited, crippled trial version that cause so much lost time in learning and playing with software is old school and obsolete. For a small initial subscription fee … a Kipware® CLOUD subscription gives you full use for (3) full months of your title(s) of interest … all FULL VERSIONS with no restrictions. Need to generate a machining cycletime estimate … just log on and start KipwareCYC®. Need to generate a cost estimate and quotation … just log on and start KipwareQTE®. Want to create a CNC program for turning or milling using our world renowned conversational software … just log on and start KipwareM®, KipwareT® or the SketchPad. Need to convert a G code program from Fanuc format to Okuma format … just log on and start Kipware® CNC XChange. Need to convert ANY G code program from one format to another … just log on and start KipwareXC®. Cloud computing is the FUTURE … mainly because once you investigate all the possibilities and features … IT JUST MAKES SENSE !! Why Cloud Computing Makes Sense … Even for an OLD GUY !! What is SaaS … and What is the Kipware Cloud ? If you have any additional questions, concerns or want to talk in person with a cloud expert who can explain the benefits and advantages of SaaS … please give us a call at 508.754.1198 or email us at Sales@KentechInc.com.